Properties in Province of Cádiz average 4.6 out of 5 stars. Property 23: Cabañas de Verón. Among the pine forests of the dehesa de Roche. 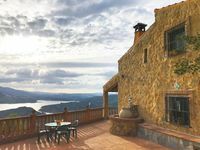 Property 41: La Casa Nazari, cottage with wifi and fireplace.